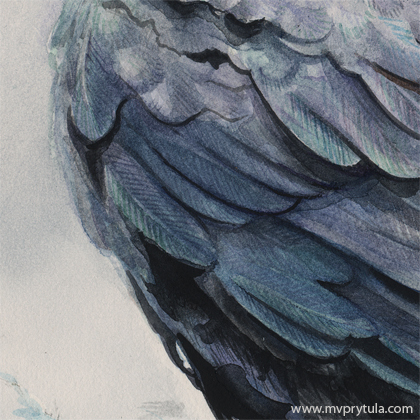 My latest personal illustration “Huginn and Muninn” has been completed. While watching The Hobbit behind the scenes, I noticed the beautiful carving design that John Howe created of two ravens from Norse mythology – Huginn and Muninn (“thought” and “memory” depending on the translation). 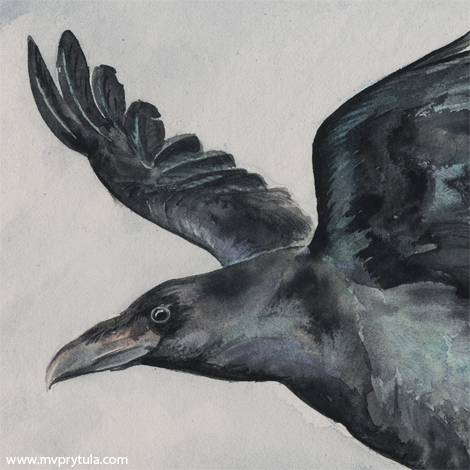 My husband always loved ravens, but I struggled to find a worthy context to depict them in. When I saw those two surrounded by knotwork and Yggdrasill, I immediately remembered the raven pair we filmed outside the National Museum of Wildlife Art. What a thrill it must have been to be Odin’s companions.